ADW Games has announced that their new game, Band of Gnomes, will launch on Kickstarter on the 21st. ADW Games and Game Designer Andrea Sfiligoi announce that they are bringing "Band of Gnomes", a non-lethal miniature skirmish game full of fast-paced trickery, illusion, summoning, entrapment, odd magic, queer terrain, golems and elementals, to Kickstarter on July 21, 2014. Rules for "Band of Gnomes" are being written by Andrea Sfiligoi, the Award-winning game designer behind Songs of Blades and Heroes, Of Gods And Mortals and Fistful of Kung Fu. "We have chosen this as out next project because it is unique in format and does not compete with anything on the market," says S.E. Lantry, the primary writer for ADW Games. "Plus, we have a lot of cool, surprising expansions already mapped out." 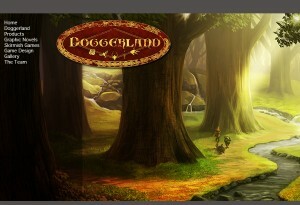 Band of Gnomes will be set in ADW's fantasy version of Doggerland, based on the lost landmass in the North Sea that joined Great Britain and Europe, during and after the last Ice Age. Band of Gnomes will include rules for Ice Age Mammals miniatures in the Band of Gnomes Core Rule Book. The Core Set will include two Gnome factions, The Lighted Forest and The UnderMountain, and will include rules for terrain and Band of Gnomes battlemap-based games (Terrain and Battlemaps sold separately).